One of our best selling birthday cards. 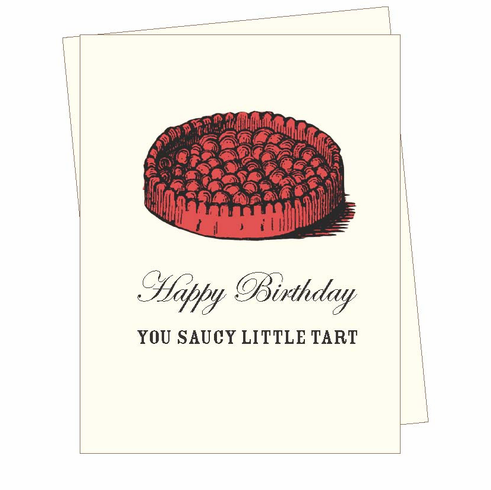 A vintage illustration of a red tart is paired with the text " "Happy Bierthday, you saucy, saucy little tart." It's super playful, and saucy, yet sweet. Blank inside.